Self-managing earaches, bleeding, ear discharges and other problems is never recommended. However, some of these problems can be kept at bay by adapting some simple everyday practices. Here is a list of the habits that an individual can take up to help prevent common ear diseases. Millions of people are often affected by tinnitus (ringing ears) at different points in their lives. What many do not realize, however, is that this disease is easily preventable. Nearly all young adults tend to listen to their music at full volume and while this may seem enjoyable, it can also lead to the constant whistling and buzzing that comes with tinnitus. By keeping the volume at regulated levels, such a problem can be effectively prevented. A day at the beach can be fun and relaxing, but at the same time, it can lead to swimmer’s ear, which can bring about tingling and itchiness, and in severe cases, swelling and hearing loss. Contrary to the belief that a swimmer’s ear is inevitable, the disease can actually be prevented by using ear plugs which will keep water from entering and sitting in the ear. Smoking has been known to be a major culprit when it comes to cancers of the throat and mouth. Still, this is not the only way cigarette smoke can affect a person’s health. Exposure to high levels of smoke and other substances can act as an irritant and lead to acute Otitis, an ear infection that causes accumulation of fluid in the middle ear. Even though the disease doesn’t cause pain, it’s important to steer clear of cigarettes and second-hand smoke to keep it from arising in the first place. Recurring strikes to the ear can bring about small blood clots that may then hinder the transfer of nutrients to the ear –a disease typically referred to as cauliflower ear. If not taken care of, cauliflower ear may, over time, lead to swelling and deformation. In most cases, this problem arises among sportspersons who are exposed to activities or exercise routines that require a lot of head movements or jarring impacts. Fortunately, though, wearing the appropriate headgear may be the only step one needs to take to protect the ears from cauliflower ear. There are a lot of great habits that can help you curb common ear infections. So this list is not, in any way, exhaustive but should act as a starting point. 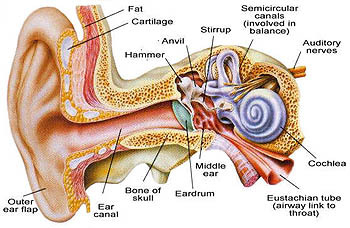 If you already have an ear infection, it is not late to find some relief. There are a number of supplements and home remedies, for instance, which you can leverage on to relieve the pain of an ear infection. This is the AAWHWorldHealth.org site. Welcome! You will find reviews and news articles about a variety of topics that our staff of health and sports enthusiasts wish to share with readers. Please feel free to participate in polls and watch the videos and other fun information that we will be adding. Back soon, so don’t go far!